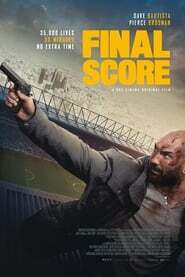 Sky Cinema has unveiled the first trailer of ‘Final Score’, a film directed by Scott Mann (‘Heist’) and starring Dave Bautista and Pierce Brosnan that will premiere in the UK on September 7 (September 14 in the United States). 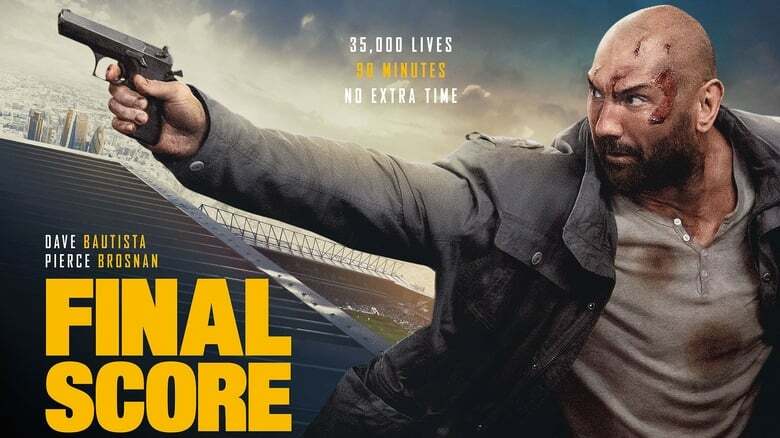 United).The plot takes place during a football match of great magnitude in which the stadium is taken by a group of Russian criminals heavily armed and led by Brosnan who demand a rescue. A former soldier (Baptist) must then use all his military skills to save the more than 35,000 people who are in the stadium, one of whom is the daughter of his fallen partner. He will also do it against the clock, as he only has 90 minutes of the game. With a script by brothers David T. Lynch and Keith Lynch, the cast includes Alexandra Dinu, Lucy Gaskell, Ray Stevenson, Kamil Lemieszewski, Martyn Ford and Ralph Brown among others. The film is produced by Marc Goldberg of Signature Entertainment along with Robert Jones, James Harris, Mark Lane and Wayne Marc Godfrey of The Fyzz Facility.